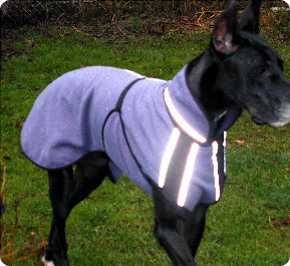 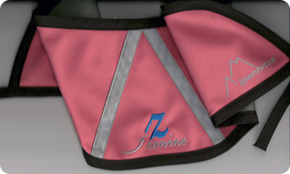 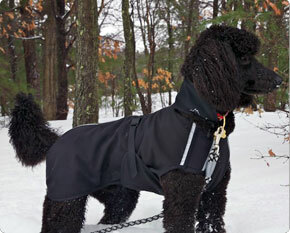 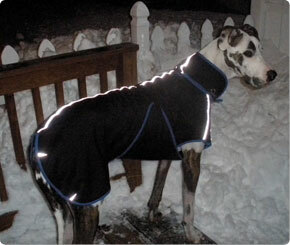 jZ canine Alpenhitze Polartec dog coats are built "one on one" to your dogs exact measurements. 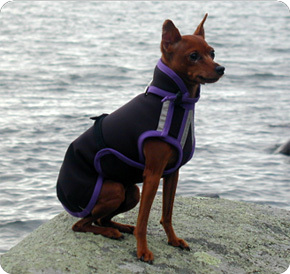 We've been shipping our proprietary design dog coats world wide for the past seven years, one client at a time. 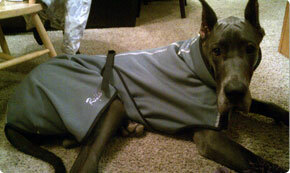 Proprietary design offers incredible warmth while providing unrestricted free range of movement. 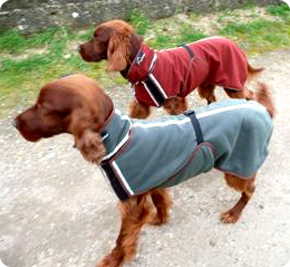 Alpenhitze coats are built "one on one" for each client using the highest quality fabric, notions and thread. 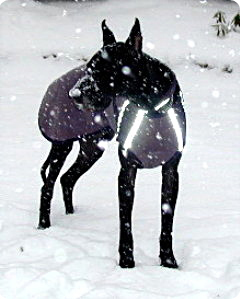 Coats are made of Polartec that is.. 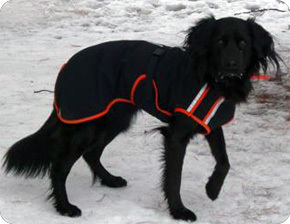 Most frequently I'm told, "Your coat has become part of my dog!". 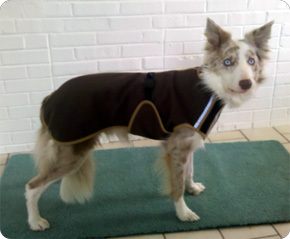 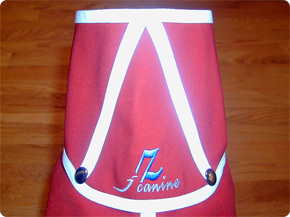 This shows not only after 7 seasons shipping Alpenhitze custom dog coats we know what we're doing.. 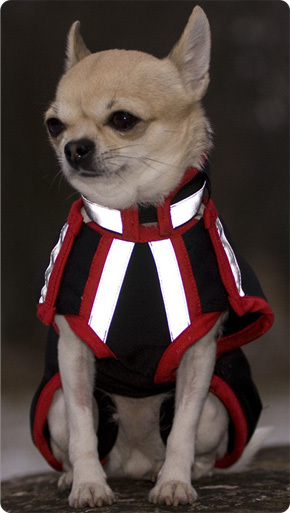 This means you all are doing an awesome job measuring! 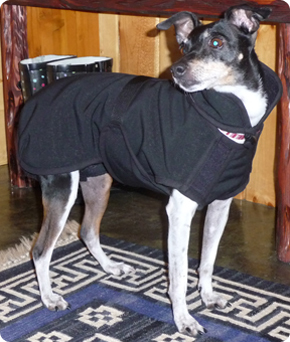 We build coats without ever seeing the dogs that will wear them and they fit like a glove. 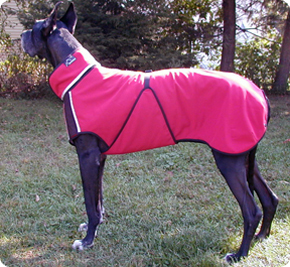 We pride ourselves in this design and aim to deliver the best dog coat you've put a hand on. 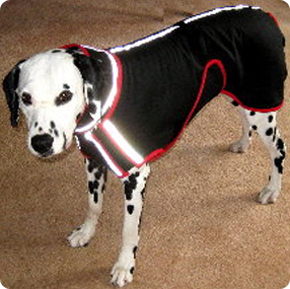 However, there are issues that may arise with any garment such as wear and tear, misuse and other end user problems. 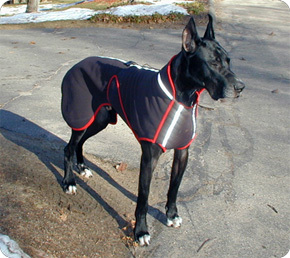 Here's the guarantee we stand behind..
After 1,000 coats shipped and many seasons, Alpenhitze has proven to last. 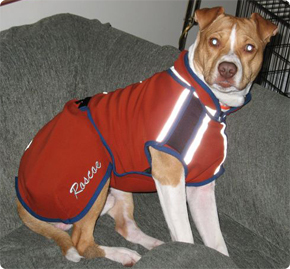 Polartec is a fabric and is NOT ballistic Nylon or chew proof. 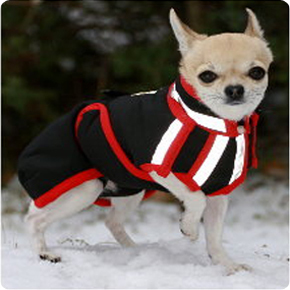 Coats are built with attention to detail and quality using the best materials and methods available. 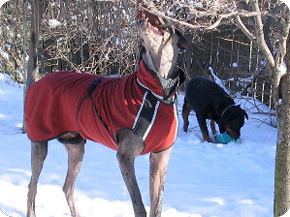 Under normal conditions your coat will last many, many years. 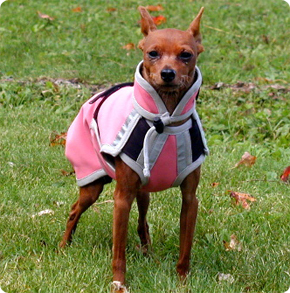 © Copyright jZ Canine, all rights reserved.